International Exhibition of Building & Construction Industry (Iran Confair 2018) has become one of the leading specialized Building and Construction Industry Events in the world and will be hosting the leader companies of this booming sector. 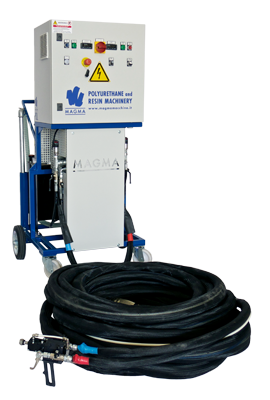 The 2018 edition (6-9 August, Tehran International Permanent Fairground) will host Magma Macchine at its sole Distributor’s stand, Mokarrar Industrial Group, leading Company in the chemicals for building industries. Mokarrar Industrial Group, the sole representative for the Area of Magma (producer of machines to apply resins and polyurethanes), meets all the needs of building & construction industry with its technical service and innovative solutions. Mokarrar Industrial Group & Magma Machine’s’ staff will be at complete disposal to introduce polyureas and polyurethanes systems and machines.